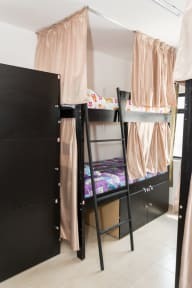 Hostel Le Jady's, Sao Paulo, Brazylia : Rezerwuj teraz! Hostel Le Jady's offers the best of shared accommodations, cozy atmosphere close to renowned bars and restaurants. The reception is open 24 hours and we have a delicious buffet breakfast. It is much more than a simple conventional hostel. An extremely pleasant and comfortable place, a new accommodation concept. We are about 5 minutes walk from Paulista Avenue and 10 minutes walk from Sao Paulo Art Museum (MASP). The Municipal Theatre of Sao Paulo and the Cultural Center of Sao Paulo are 3 km away. On Paulista Avenue, you will find many bars, shops and museums, as well as many attractions. 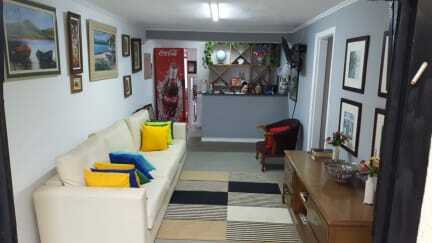 Congonhas Airport is approximately 10 km from the property. We have rooms with comfortable beds, individual lockers, air conditioning and free WiFi. Our beds in the shared rooms have curtains, giving the guest more privacy.